What do you like most about the holiday season? One of my favorite things about Christmas is the music. Christmas carols are the soundtrack of this beautiful season. My daughter, Elisabeth, shares this love of holiday music with me. Actually…maybe it’s the other way around…maybe I take after her? It’s funny how our children can bring out parts of us that we didn’t even realize were there. Being around her just makes me a better person. She is such a positive, happy soul. Elisabeth LOVES Christmas carols and can sometimes be found listening to them all year round. 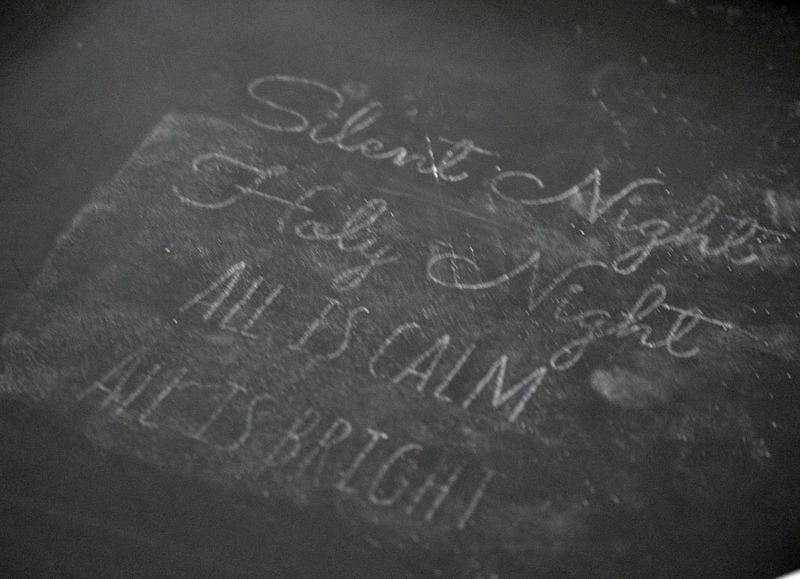 One of our favorites is Silent Night. 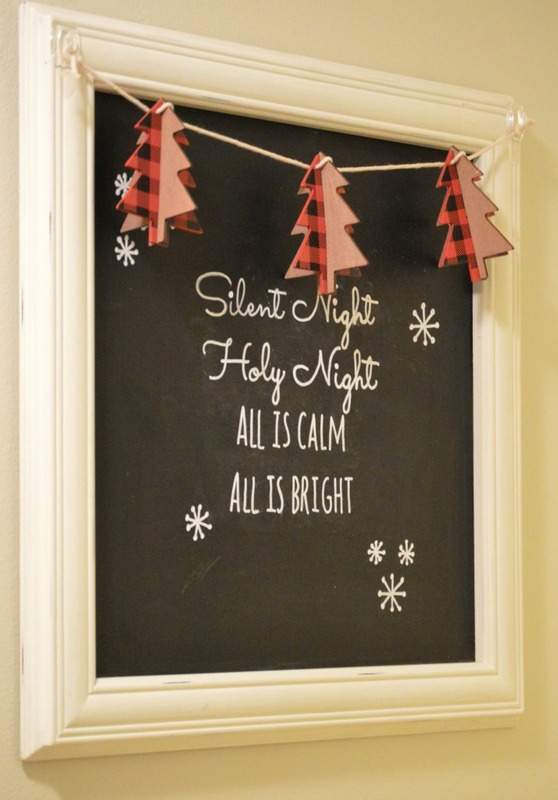 I couldn’t think of a better way to spread some holiday cheer through our house than to add some of the lyrics to this classic Christmas carol to our kitchen chalkboard. 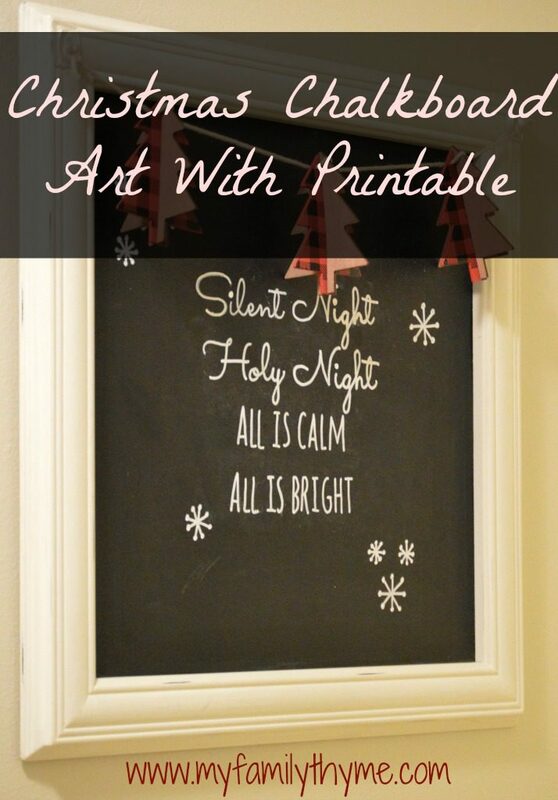 To create this festive chalkboard art, I followed the same steps that I did for my Back to School Chalkboard Art. I first created a PDF that I have shared with you at the end of this post. First, gather all of your materials. 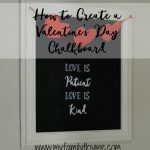 Then plan on how you want to place your template on your chalkboard. Now you are ready to begin. 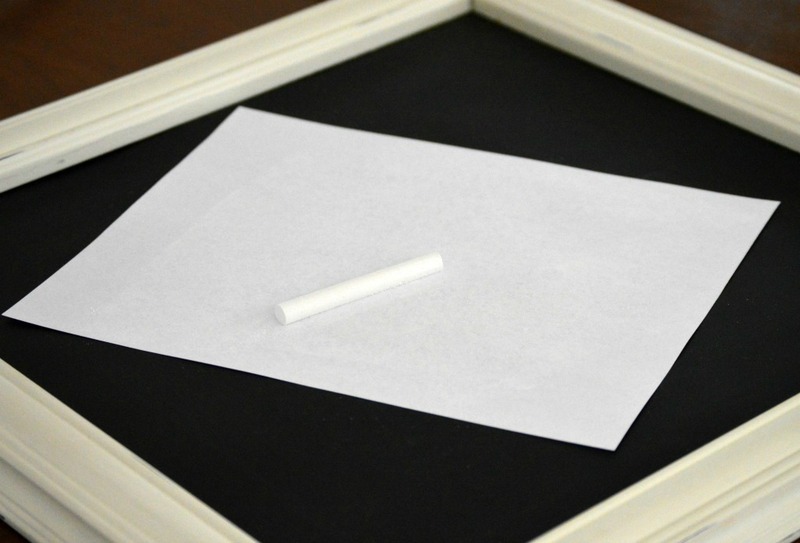 Take a piece of chalk and rub the back of the paper. 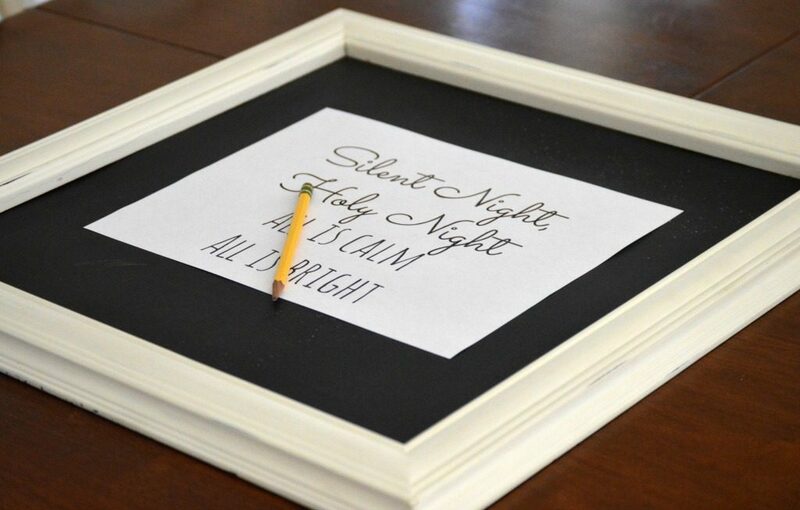 Next, place the paper on the chalkboard and, using a fine tipped pencil, trace the letters. Carefully wipe any additional chalk dust off. Now…add a little decoration. Snowflakes are always easy and fun! 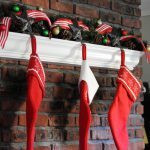 To make it a little more festive, I used Command Strips to add some decorative Christmas tree garland from Target’s Dollar Spot. 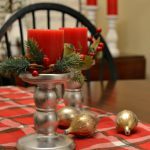 Here are the PDFs for this Christmas project. 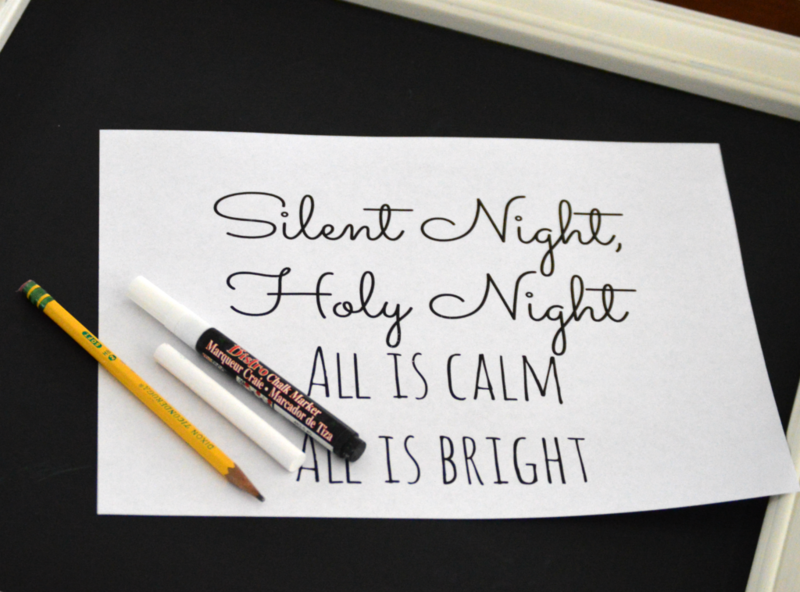 What are some of your favorite Christmas carols? I would love to hear your thoughts. LOVE this! Thanks for the tutorial. 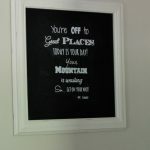 I have wondered how to transfer fonts to chalkboards. Happy Holidays!! !